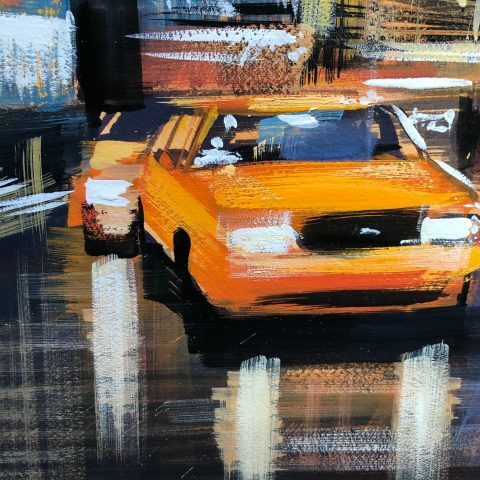 30″ x 22″, Original gouache on paper. 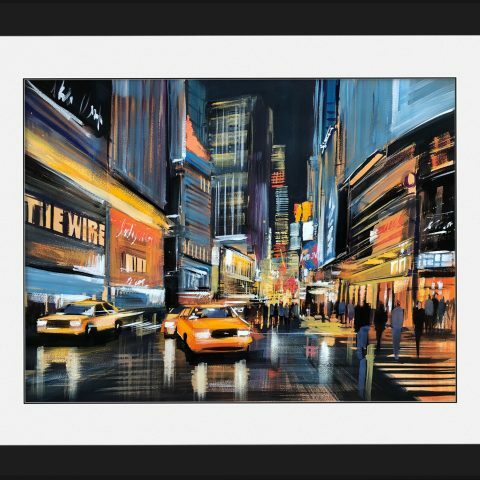 Mounted and framed in a wide black wood frame. 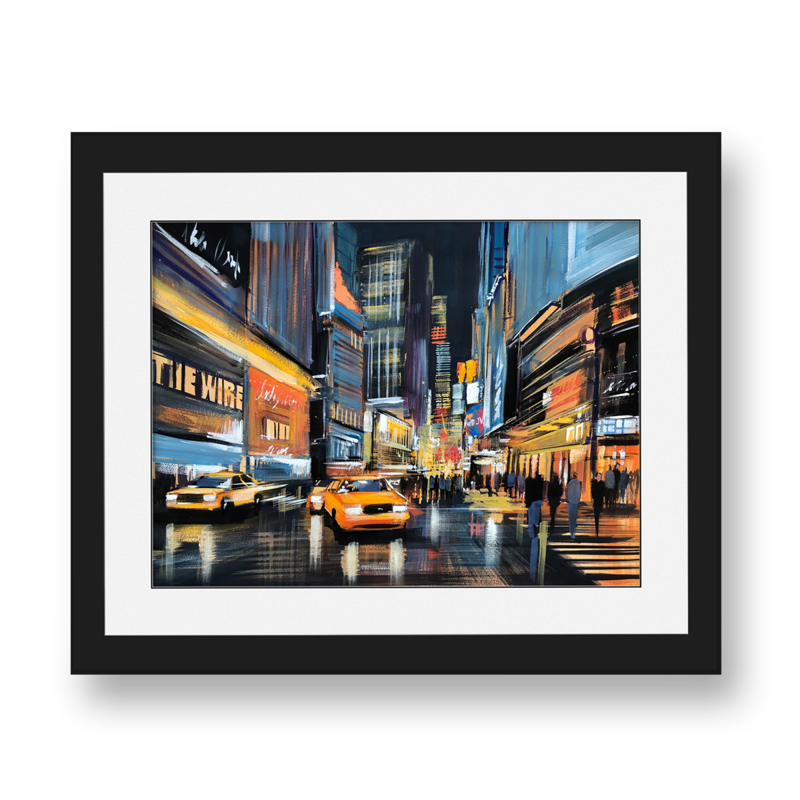 Overall framed dimensions are approximatley 42″ x 34″. 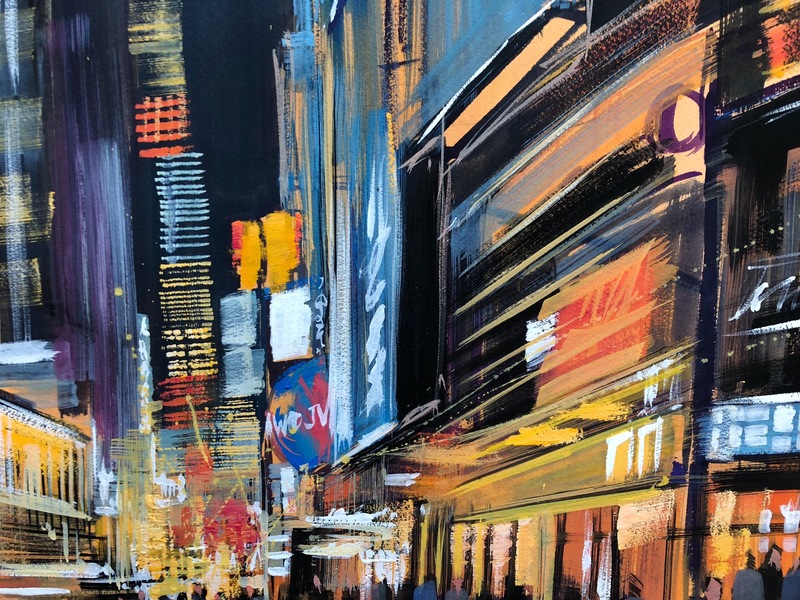 Painted on location, Paul has captured the multicoloured streaming bright lights of New York City at night. 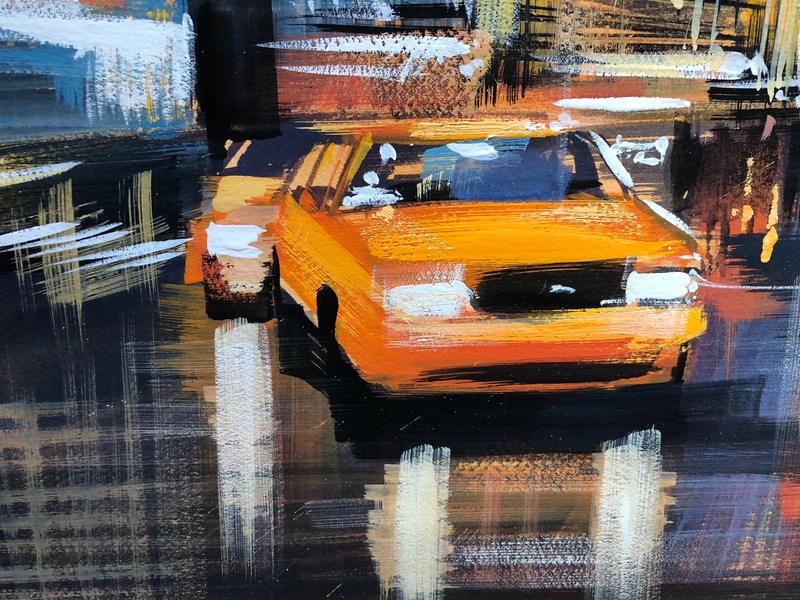 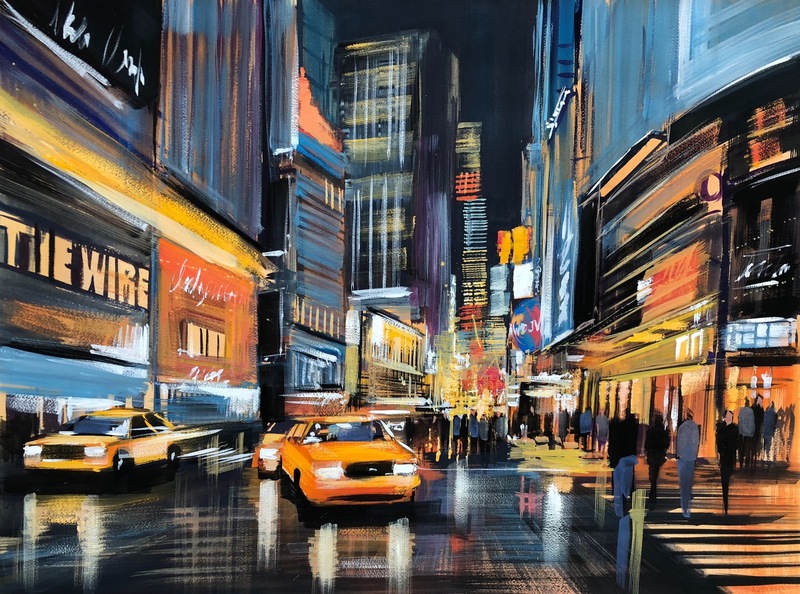 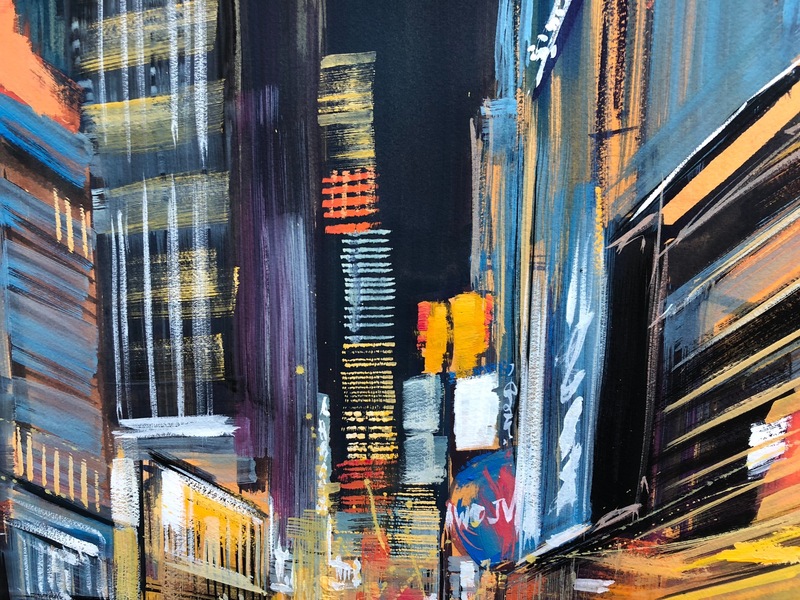 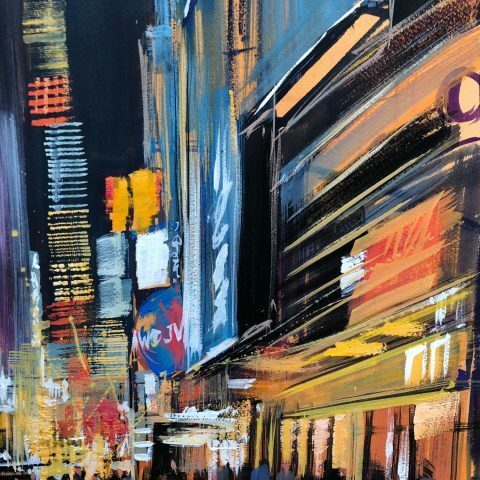 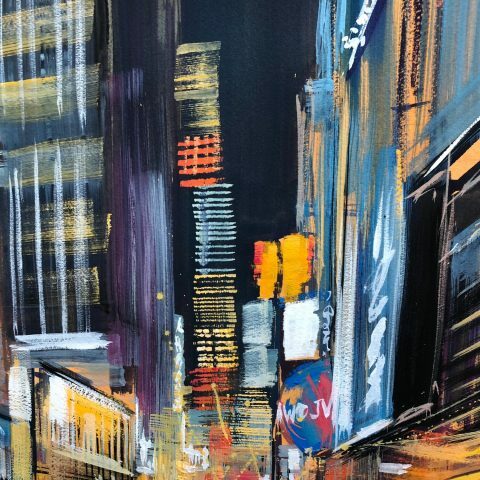 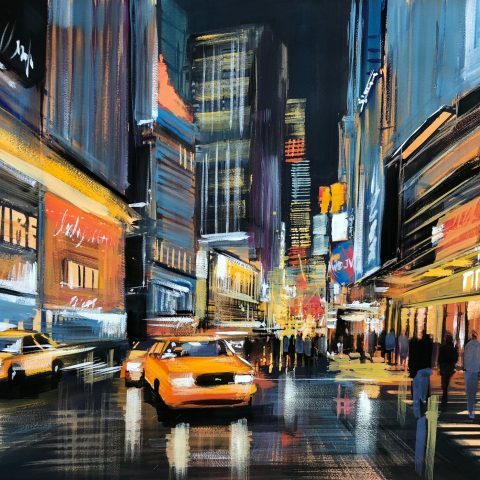 Bursting with colour, this painting encapsulates the non-stop energy of Times Square, with yellow taxi’s whizzing by, bustling crowds, and flashing billboards. 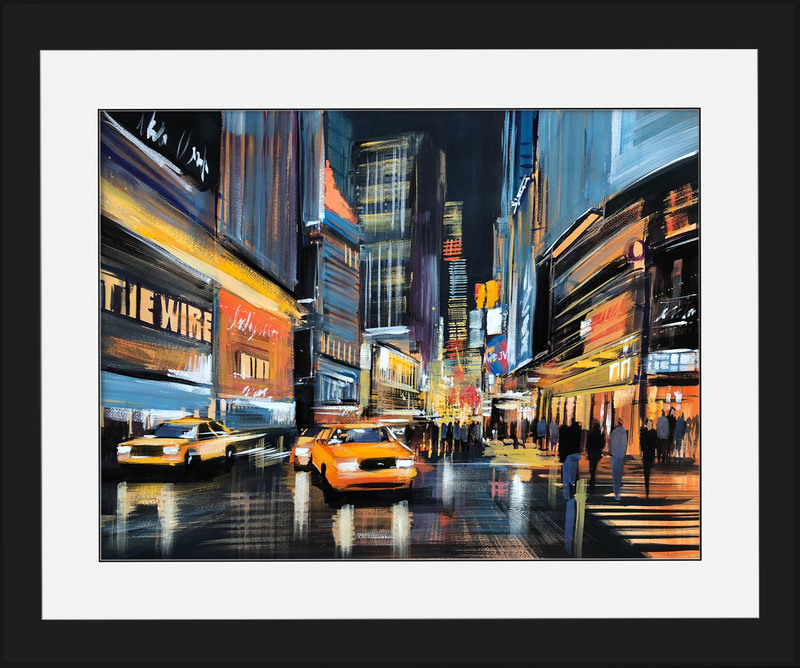 Painted with a vibrant palette of gouache paints, giving the work a luminous quality.